We have just cut our "Viking Live CD" Click here for more details! 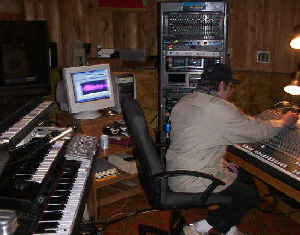 T. Owen Prellwitz: The singing engineer! DJ Scott: Our number two guy! Carole: Sings in live bands as well as hosts! Chuck: Filler host and Linux technician! Owen would be happy to help you on your next karaoke CD project! 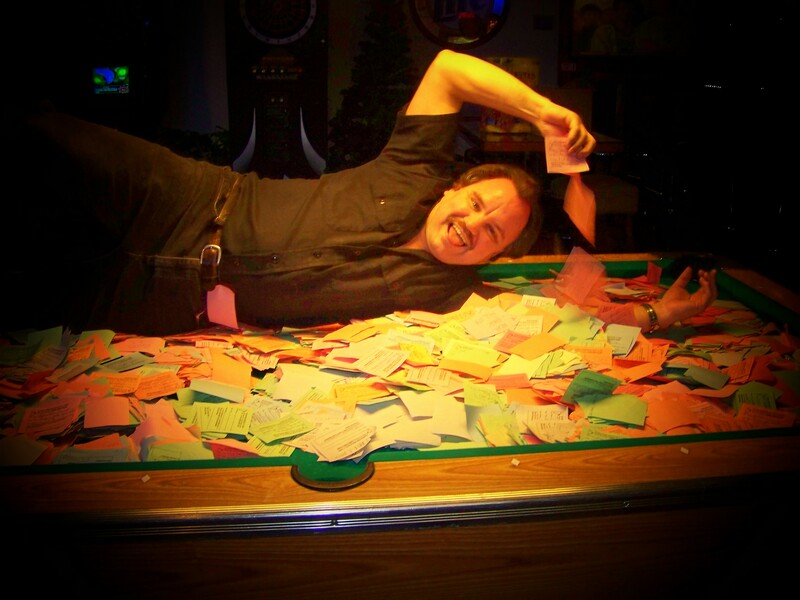 Owen has completed several projects including Generic Eric, Rotations, and most recently a whale of a demo for Wendy Donaldson, who is one of our regular singers at the Puerto Vallarta Mexican Cantina in Yelm Washingon most Fridays. We have cut our promotional cd which features E.T. of E.T. 's Cosmic Karaoke&DJ. This release will be available in limited quantities as soon as we prepare the artwork and work on the manufacturing detail! It contains a total of 21 songs, including one original! Look for it at our shows sometime next month. E.T. would like to thank Tim and Donny from "Little-Rock Studios", for a fantastic late night, overtime recording production! Again, to "Little-Rock Studios" and to Tim and Donnie: You guys rock, and put in the extra tender loving care to make this project a huge success! 1. "Voices In THe Sky": Strong songwriting credit goes to JUSTIN HAYWARD, and brilliantly crafted by his band "The Moody Blues". This was the first pop song E.T. ever learned tp play when he first took up the guitar in the year of 1973. How sentimental. 2. "Just Like a Woman": What can I say. BOB dylan is a songwriters songwriter. This is only the first of four songs penned by the one and only Dylan that E./T. chose to tribute in this collection. 3. "Slowdown": Ahhh, The Beatles. Probably E.T. 's all time favorite group. Great hook, and great dance song. Actually written by Larry Williams, but it is covered in the spirit of those LIverpool lads. 4. "Champaigne Supernova": Yes, its "Oasis" at its finest. Songwrier Noel Gallager writes poetic and unusual yet cool lyrics, for this Sibling rivalry London based group. This track is actually E.T. 's favorite on this cd collection. Hot twin lead guitars were added to the mix to make it all the more Eric, and yes, quite generic. Sounds a bit Beatlesque as well. 5. "Georgia": A Ray Charles classic. E.T. is fond of this unusual arrangement, and trys to play it with an E.T. flavor. 6. "Napoleon": A sample off E.T. 's original work. A " lost bonus Track" from his debut cd "I'm Alive". This a cute song about a guy and his cat. A true story as well. It is nice to have a voice and be included with all the other songwriting icons! 7. "Only God Knows Why": An E.T. themw song. This track, with a slight creative interperatation COULD be about E.T., although it is really about it's author, Mr. KId Rock. 8. "Willy and The Hand Jive": Chosen as an Eric Clapton tribute, it turns out that it was actually written by Johhny Ottis. Nevertheless, a great pick me up and fast paced dance song. Well written too. 9. "Babylon": Great London based songwriter David Gray is the writer. E.T. has the same vocal tener as this artist, which makes the song a perfect fit for hois voice. A strong favorite fantastic lyrics. 10. "Knockin' On Heavens Door": More Robert Dylan! This classic features E.T. on lead AND harmony vocals, as well as piercing lead guitar. There is an alternate verce sung here that is nifty. 11. "Freedom": It's solo Sir Paul McCartney, truly one of E.T. 's Hall of fame heros. 12. "In My Life" Songwriting team of Lennon and McCartney have always told great stories with their work. This tune voted the #01 song of all time on one vh1 special. This track is more John Lennon than anything, singing about his life in Liverpool England. 13. "You Don't Know How It Feels": Written by a fantastic writer, Tom Petty. Fellow band members "The Heartbreakers" have some say in it as well. It is easy to relate to this kind of lyric. Tom is a big favorite. 14. "Two make You Feel My Love": Great Dylan composition. Hot acoustic guitar added by Eric to make it even more "E.T.". This is one sweet track. 15. "Old Man": It is hard not to include Neil Young on this kind of tribute, as he is a huge hero of Erics and highly respected at that. You know, he has songwriting passion. 16. "Tell It Like It Is": Songwriters Lee Diamond, and George Davis made this one up. It was covered by Aron Neville, and also The Wilson Sisters of the northwest band "Heart". Now its Erics turn! 17. "Tangled Up In Blue": Another Bob Dylan story teller masterpiece. It's like whatching a short movie full of plot and intrigue. Lots of Gibson Hummingbird up front in the mix, also played by E.T. 18. "Drops Of Jupiter": Penned by singer Pat Monahan and his group "Train". The lyrics in this one are just totally cool. E.T. has a similar vocal range, an d can feel it. 19. "You Can't Always Get What You Want": Great arrangement and writing by "The Glimmer Twins", Mick Jagger and Kieth Richards who are songwriting giants, along with the rest of "The Rolling Stones", and its crew of producers. This track has a sentimental tie in to the film "A Big Chill" which came out in the early 80's. 20. "Tuesday Afternoon": More from Justin Hayward and the rest of "The Moody Blues". You can't beat the orchestra and production of this climactic piece of music. It is nothing short of "fantabulous". Brings back piles of memories, and I do mean good ones. It is nispiring work, and music that comes straight from the heart. 21. "I'll Be Home For Christmas": This was a song crooner Bing Crosby made world famous. Actually it was a World War Two Christmas song from 1943, written by K. Gannon, and W. Kent. Thank you too the searchine Google.com for giving us this kind of trivia tidbits. Order the new cd's for $14.95 (plus minimal shipping) E.T. 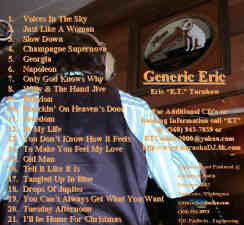 's: "GENERIC ERIC CD"
Call E.T. 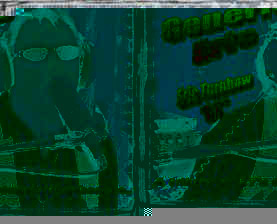 (Eric Turnbow) at (360) 943-7039 or send an email to him at etcosmic2000@yahoo.com for information or ordering. We are registered with paypal for secure and easy online transactions.